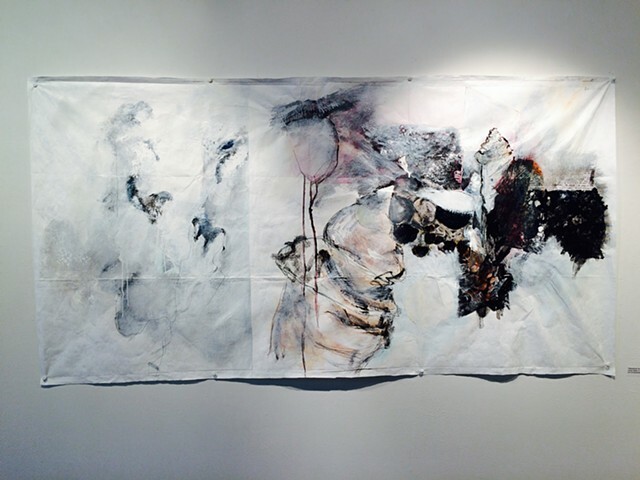 My husband and I saw two artists at Eastworks who were using Tyvek as a canvas... I decided to try it and, for the winter Gallery A3 show, to create a black-and-white piece over the color I had begun with. I love the "loose" feeling this material gives me, and the "backlit" effect of this light, bright foundation! I am working on two more now.